Tomorrow is Friday....Hells yes, people! Tonight's dinner was incredibly yum, even though it made me so full and now I have a food baby. Can you say , uncomfortable? I don't mind. 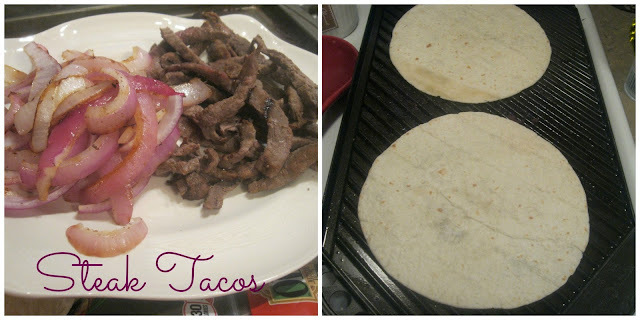 I was starving and for some reason thought of making a more 'unique' taco dinner tonight. I know in no way does it compare to a Martha Stewart dinner, but I feel I did a good job considering I was shaking when I got home because I was so hungry, exhausted from the work day, and startled, as some dumb biz natch almost drove into me and my new car! A glass of wine was in my hand in a matter of 3 minutes; I don't kid. Okay wow. Sorry. That was a really long fragment! Back to dinner and this amazing sauce. I knew I had some cilantro in the fridge and wanted to do something different with it instead of using it as a garnish, like I always do. 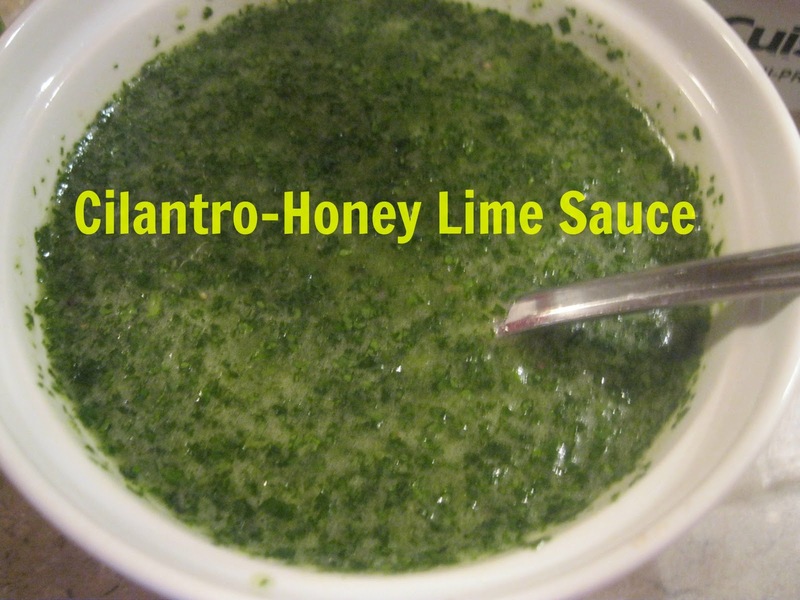 I made this sauce recipe off the cuff and I gotta say, holy yum!! It's sweet and just a touch spicy from the jalapeno that's in there. You're gonna love it! And she was, unto them, absolutely scrumptious. Just a little yummy tip; I tend to pick a few of these rice packages up when food shopping. They are good, cheap, last long, and come in handy, like for tonight's meal. 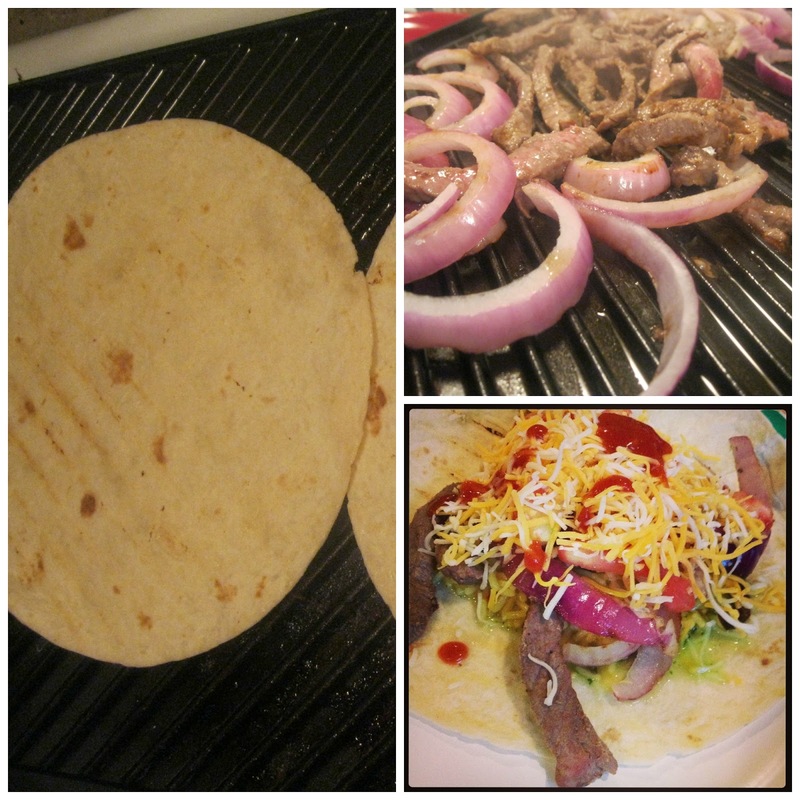 These tacos were so moist and flavorful and the added flavor of the grilled steak and onion really rocks your taste buds! Use a griddle or your normal outdoor grill. It was blowing up like crazy balls outside when I got home and we're supposed to get rain tonight and all day Friday. Thanks to whomever purchased my griddle pan for my shower! Grilling can really make a difference sometimes in the foods you cook! ﻿Ohhh, right. You wanted the sauce recipe! My bad. Here ya go! -Use a blender or food processor and blend until all is combined well. Chill in fridge until serving. *For the steak, I just pick up sirloin/fajita strips. They're really handy and cook up fast! Enjoy and have a wonderful Friday!